After witnessing the devastation that occurred after hurricanes Harvey, Irma, and Maria made landfall this year, many are wondering if the trend will continue. If there will be more hurricanes coming our way, and whether or not they will affect the places we want to live or retire. Having lived in Cabo San Lucas for several years now, here’s what you need to know about hurricanes in Mexico. Are there hurricanes in Mexico? The short answer is yes—but not as many as you might think. Vacationers are aware that May through November is considered “hurricane season” in Mexico. What they might not know, however, is that “hurricane season” means something a lot different to vacationers than it does to locals. For starters, vacationers are looking to spend some time in the sun. They only have a week off from work, and they would prefer to spend it in blue skies and on calm waters. All of us feel that way when we vacation. It’s why we look up the weather patterns when we’re headed to the islands for the weekend or to the cape for the holidays. In reality, though some months may be the “more likely” candidates for a storm, on the Baja Peninsula, hurricanes actually occur very rarely. The Peninsula barely grazes the east Pacific Hurricane track which means most hurricanes will remain at sea. Very rarely do they make landfall. At worst, we might experience a couple of days with higher winds and choppier waters. Nothing to write home about. It’s true, once in a blue moon, a hurricane can make landfall in Cabo San Lucas—as in September of 2014 when Hurricane Odile hit Los Cabos. However, this was an exception, not the rule. Historically speaking, North Carolina, South Carolina, Florida, Louisiana, and even Massachusetts experience more hurricanes more often, than anywhere in Mexico does. Even during peak hurricane season (typically September in Mexico), there is only a small chance that you will experience a tropical storm, much less a hurricane. At most you may have to avoid taking the boat out on the water for a day or two. Which, of course, will suit you just fine. After all, this is Cabo San Lucas, and you certainly won’t be hurting for activities to do here. Since 1950, Odile has been the only major hurricane to make landfall on The Peninsula. Unlike the Atlantic hurricanes that have continuously plagued the eastern United States, the Baja Peninsula has mild weather that is much more likely to experience a spattering of rain and a gust of wind. In fact, many tourists prefer to vacation here at that time due to fewer crowds, lower airfares, and cheaper hotel stays. What Will the Weather be Like in Cabo San Lucas? If, like me, you choose to live or retire in Cabo San Lucas, you’ll be able to enjoy some of the best weather in the world. Temperatures range from the mid-70’s to the low-90’s year-round, and we experience very mild precipitation—September is our rainiest month with only 3.3 inches on average. 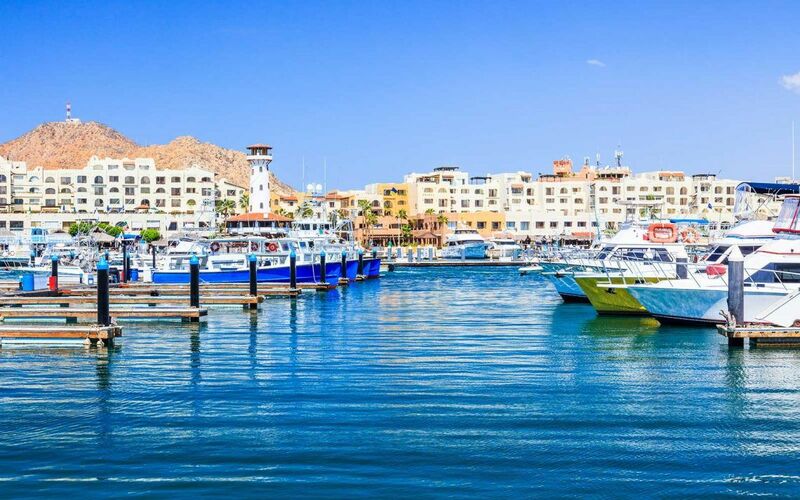 I hope you’ll come enjoy all the Cabo San Lucas has to offer—and should you be interested in relocating to the area, I’d be more than happy to help you find the perfect place to live in Cabo. See you on the beach!